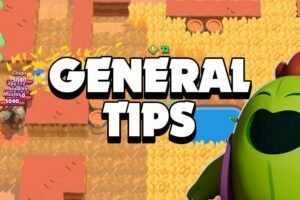 The Best Brawl Stars Guides, Strategies, Tips and Tricks | Brawl Stars Up! Check out the latest Brawl Stars guides, strategies, tips, tricks, walk-throughs and news! 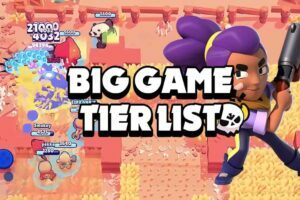 Best guides for new Brawl Stars Players. Learn about the most basic game mechanics. The best quick tips and tricks for you to apply immediately for better plays. 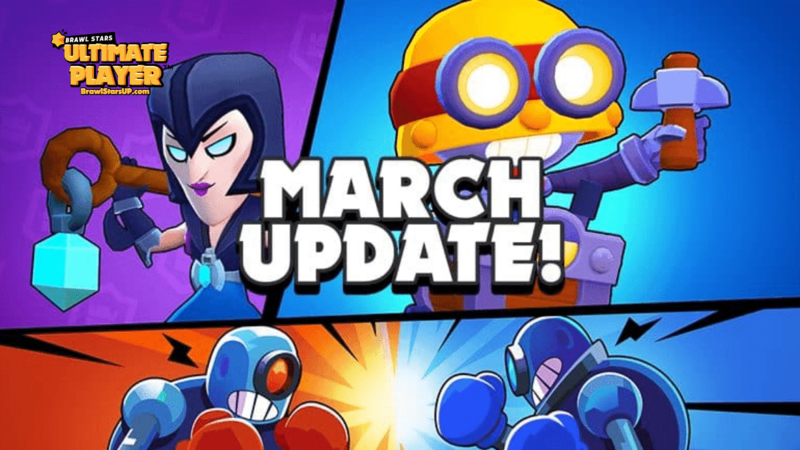 Brawl Stars March Update: New Brawler Carl, New Game Mode Siege And More! 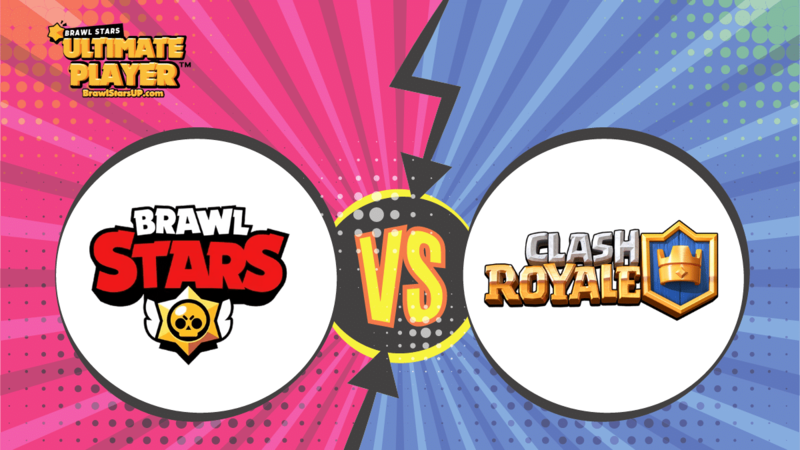 Brawl Stars vs Clash Royale – Which One Is Better? 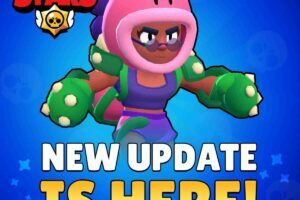 Brawl Stars is an amazing, brand-new action-packed video game with a brand-new world, differs from the world of Clash Royale & Clash of Clash. All of these games are developed and released by the famous Supercell company. A whole new world: Separating from the the world of the other Clash games, Brawl Stars has a mysterious Far West world with full of Brawlers. Lots of Characters: At the moment, the game has 24 Brawlers and growing. There are gun-wielding characters, Mexican characters, robots, ninjas and even a cactus. All of them have stunning designs with smooth animations and voice acting. Abundant Gameplay: The game does not have only one specific gameplay. It is a mix of different gameplay styles: From Moba-like modes, quick-shooting games to battle royales. In addition, each more has plenty of maps, giving the game tons of contents for you to play without getting boring. Free-to-Play: It does not cost you a single dime to play this game. It’s totally free. And not like the other F2P video games, you are totally fine competing with the other players without spending money. There are a lot of players get to the top of the world as Free-to-Play players. This game does require personal skills and teamworks more than how strong your characters are. The Best Community! Having the super strong fanbase from the previous video games, Supercell community is always known as the most active and united community among the video game industry. The new offering from Supercell gives gamers free, exciting and mobile adaptive gameplay for touchscreens – quick hit play. For a moment it looked as if Brawl Stars would not make it. The free Supercell’s mobile shooter game that was softly launched in Canada in June 2017 & went on to reach more countries over the course of this past January. However, the mediocre marketing campaign had people thinking that it would not enroll in the likes of its predecessor’s Clash of Clans and Clash Royale as international hits. The inventors of the game agreed, remarkable. 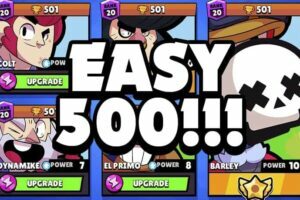 While Brawl Stars was in its phrase of 500-plus days period limited release, Finish studio had to do a whole reworking of progression & controls of the system, the orientation of the screen was repositioned, they also made countless other tweaks. 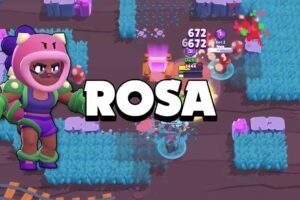 Supercell comprises a particular vision and if it is not met they tend to kill softly launched games that don’t adopt their vision, however, at the end of the day Brawl Stars emerged victorious mainly due to the fact that they went through the turmoil. This game has ingeniously adopted a team-oriented multiplayer shooter for mobile that ideally works on touch devices that you can put in your pocket. Brawl Stars is a battle royal game, which happens to be a MOBA-LITE & objective-based shooter game, and it all comes together in a nice approachable and appealing package. This year we have seen how popular both PlayerUnknown’s Battlegrounds and Fornite have remained on platforms like Android and IOS (and basically everywhere else) but no one has delivered an optimum smartphone experience. However, they are a good choice if you do not comprise a capable PC or a current console, or if you battle hungry and need a quick fix, the downside is that it can be odd so all the possible ways that you would anticipate coming from a mobile port. They are unwieldy and inaccurate, they also work better on devices that are older than our ones. There will also be difficult if you want a quick patch as some of the marches can be lengthy. That sums it up. Brawl Stars That sums it up. Brawl Stars happens to perform really well: Maneuvering and scoping are deadly accurate, you don’t have to worry about learning the ins and outs of the game because there doesn’t happen to be any learning curve whatsoever that you can contend with. Despite the lengthiness of the game the matches are fast and flowing, and it will leave you pretty content. Brawl Stars will really get your blood pumping; it made me curse out aloud ( at myself) at total strangers who play (that absolutely are unable to hear me) with me while I am being put down with a gun at a heating battle. 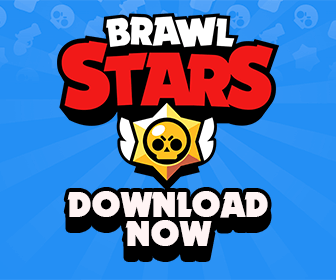 Just like the older game Clash Royale, Brawl Stars offer different genre riffs that make the things stay lively, they have monetized the game as well. There are no timers to wait for or pay for so you will be able to play to whatever extent as you wish to, however, you will get to earn tokens that you can use to unlock boxes once you have played a lengthy play time of matches. After that, you will need for your tokens to get recharged prior to grabbing any more of the rewards. 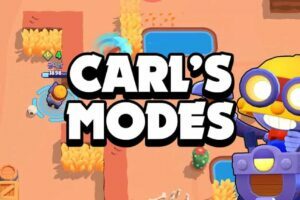 While Brawl Stars offers a wide variety of game modes and heroes, they typically stick to the fundamental gameplay elements all over the game. This is the main reason why the game is so attractive and is doing well at the moment. This could also be a reason why the long term appeal of it gets limited. Brawl Stars has gotten greatly promoted but it seems it has little depth when it comes to the moment-to-moment gaming experience. One can argue that it does not encompass the mental and strategic elements that Clash Royale brought to the table and that is what made it so fascinating and brought it such a big following and ultimately made it a proper Esport. 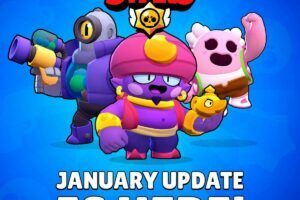 However, we can assume that Supercell has the same ambitions for Brawl Stars but I think it does not have enough appeal to the masses to get them watching it religiously. In the long haul, the linear gameplay which ones excited most of the players will be their downfall as they look for fresher and more exciting mobile distractions. This portion of the game is the heart and soul, a 3-on-3 offering where the aim of the game is to claim purple gems that appear from a hole that is at the center of your stage. The game goes like this each team has to claim 10 gems, then they have to keep them until the timer runs out. However, with some firepower like a shotgun, an optimal timed shot can get the defeated players’ stash scattered, which in turn will turn the tide in this riveting mode. As you go along in the game and gain more trophies you gain access to playing options. This a battle royal showdown involving 10 players, you can either play it solo or in duos variants. The game is very simplistic where you fire at your opponents to survive, however, the tactical twist which into place when you have to find attack & health amplifying cubes that are placed at the boxes of treasure all over the stage. Like most battle royal stages the arena will eventually shrink over a period of time – in this game, it is a poisonous cloud that gradually hovers to the middle of the stage. When playing the bounty mode is the equivalent of playing a team deathmatch, you will also get extra scores for better killing streaks when MOBA-ESQUE Heist makes your troop go off for destroying your opponents’ safe before they go ahead and eliminate yours. Then you get Brawl Ball, well, like the name suggests it is soccer just with guns, very amusing if you should ask me. The gameplay consists of cartoonist look that can be seen throughout the game, the different levels and the cartoons themselves, with different playing styles within the 22 character selection. The different heroes have different attributes like an Elvis-esque cowboy who has powerful pistols which you have to aim accurately, or a damaging robot who inflicts maximum damage when he throws exploding bottles. There is also one character that is able to summon a bear that can hunt down his enemies, they are all here adding a bit of variety to the gameplay. When it comes to the personality traits of the characters they don’t offer much beyond their dazzling looks, however, their main drawcard is their attacking capabilities and cocktail attributes that keep the game on a knife edge. Once you are accustomed to the game you will realize that some heroes are better fitted for certain battle modes than the others, or the one that combines certain heroes will make a more effectual battle unit then some. Who truly knows what the future holds. With all of the resources and time that Supercell has invested in Brawl Stars, we can safely say that this studio would want to keep the game alive for as long as possible. But for now the game is free and you can enjoy every bite-size moment of it & the feel of it exceptionally good on your mobile phones.